Three classic Rodgers & Hammerstein movie musicals celebrate milestone anniversaries this year: 60 years for STATE FAIR, half a century for OKLAHOMA!, and 40 years for the most popular movie musical ever made, THE SOUND OF MUSIC. In November, 20th Century Fox Home Entertainment, working closely with this Organization, will release brand new anniversary DVD editions of these titles, with several more revitalized R&H classics rolling out next year. 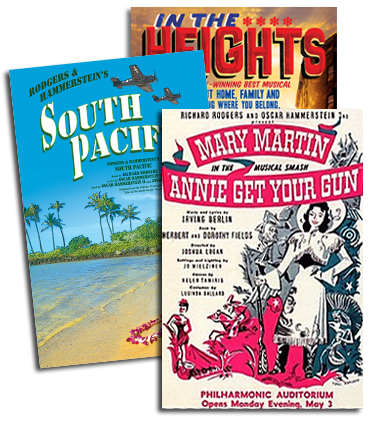 The movie versions of Rodgers & Hammersteins big five OKLAHOMA!, CAROUSEL, SOUTH PACIFIC, THE KING AND I and THE SOUND OF MUSIC are among the most popular, and successful, films ever released, critically lauded and audience favorites. Not surprisingly, they have been at the forefront of each fad or trend in the movie industry. 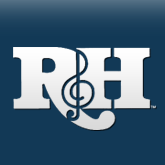 R&H titles were among the first released on home video in the 1970s, on laser disc in the early 1990s, and in the earliest wave of DVDs issued at the turn of the (21st) century. In the five years since Fox released the first set of R&H movie musical DVDs, the technology has improved substantially and the consumer base has risen dramatically. Millions of households may already boast a dog-eared twin-pack videotape set of THE SOUND OF MUSIC, but thats so last century. The current challenge is to convince the consumer that it is time to upgrade to the deluxe new DVD edition with all-new bonus material serving as added incentive. All of the titles in the 2005-6 Fox R&H collection will feature certain shared traits, including newly refurbished prints; upgraded 5.1 Surround sound; original theatrical trailers; and miscellanous perks like photo galleries, audio commentaries, and screen tests. Inspired by the SINGALONG SOUND OF MUSIC global phenomenon, now all the titles in the Fox R&H collection will have special SINGALONG features. Fans will have the option of setting up the DVD so that as each song comes along, lyrics will appear on the screen, with each word highlighted in time to the music. Another feature is entitled Vintage Stage Excerpts: rarely-seen TV clips of R&H musical excerpts evoking their original Broadway productions. This footage, culled from a 1954 all-network tribute to R&H, includes sequences from OKLAHOMA!, CAROUSEL, SOUTH PACIFIC and more. For this series of Fox R&H DVD releases (with the exception of THE SOUND OF MUSIC, since the broadcast predates it), each stage sequence will be matched to its corresponding DVD title. The US/Canadian editions will feature French and Spanish subtitles and/or audio tracks; internationally, these titles will be released in 25 key markets, and in nearly two dozen different languages.